Frank was born in Philadelphia on February 2, 1949. He graduated from Dobbins High School. After being drafted on January 14, 1969 at the height of the Vietnam War, he received Basic Training at Ft Bragg, Advanced Infantry Training at Ft Dix, then went to but did not complete NCOC training at Ft Benning. In October 1969, he was shipped to the Vietnam and assigned to The 101st Airborne Div. Alpha Company 2/506. On March 12, 1970, his company led the assault to open up Fire Base Ripcord, 20 miles above Hue. His company suffered many casualties on this Hot LZ when their helicopters were landing. On June 8, during an ambush, Frank sustained shrapnel wounds in his back. After spending a few days at the hospital in Da Nang, he returned to his company. By July 22, his company had been reduced to a mere 76 men due to casualties during this battle for Ripcord. That day Alpha company was attacked by over 400 NVA soldiers. Frank suffered shrapnel wounds to his arm and leg and burns to his face in three separate encounters during this 6 hour battle. These injuries kept him in the hospital and Convalescent Center for six weeks. He returned to his company and was discharged from the Army on Oct 10, 1970. Frank was awarded The Bronze Star with a “V” device, The Bronze Star, Two Purple Hearts and Two Air Medals. After his return to civilian life, he went into his own roofing business. In 1994 became a commercial roofing sales consultant for Gucci Roofing Company and also held a part time job with Home Depot for 10 years. In 1999, he received his PA and NJ State Real Estate License and was a successful Real Estate Agent for Prudential Fox and Roach in Mt Laurel, NJ. In 2015 he retired and moved to (Surfside Beach) Myrtle Beach, SC. Frank was a member of “The Last Patrol” a successful fundraising effort for the Philadelphia Vietnam Veterans memorial. He instrumented the “Great American Duck Race” for the Philadelphia Veterans Multi-Service Center. He was chairman and founder of the Philadelphia Veterans Fair for the Philadelphia United Veterans Council. He has chaired and implemented numerous fundraising events such as The Woodstock Revival for the Memorial, featuring Country Joe McDonald, and Richie Havens., The Oldies Night at The Woodbine featuring Gary U.S. Bonds and The Duprees. A concert at The Civic Center featuring The Drifters, The Marvelettes and The Coasters. He was newsletter Editor and Publisher for the VVA #266 Newsletter and The Phila United Veterans Council Newsletter. 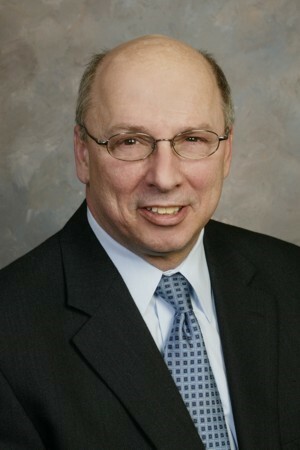 He has received several awards from veterans Organizations. The 1986 Philadelphia Vietnam Veterans Memorial Distinguished Service Award; The 1986 Chapel of Four Chaplains legion of Honor Award; The 1987 Gold Star Mothers Appreciation Award; The 1987 geriatric and medical centers Inc. for outstanding volunteer Service. The 1988 Italian American press Knights Legion, Knights of Goodness Award; The 1992 Philadelphia United Veterans Council Commanders Award of Recognition; The 1992 Phila Vietnam Veterans Memorial relighting project appreciation award; The 1993 VVA Chapter #266 Appreciation Award; The 1993 National VVA organization Appreciation Award; The 1993 United veterans Council Veterans Veteran Award; The 1994 Philadelphia Regional Veterans Service Award. Frank is Past Commander of the United veterans Council. Has held previous position of Secretary for The Vietnam Veterans of America Chapter #266. He is a member of “Vietnam Veterans of America; The Military Order of The Purple Hearts; The Phila Vietnam Veterans Memorial Society; The United Veterans Council of Philadelphia and a founding member of The Ripcord Association. Being born in North Philly, I grew up hanging on a street corner. we hung out in large crowds, got along with most of the other neighborhood corners in the area. (A neighborhood reunion in 1985 had 500 people attend). Occasionally a street fight would occur with other neighborhood corners. I was one of them scared guys and did not like to fight. I was more into the dances that were held in different areas of the city and was more into meeting the girls. I did not like high school and after graduating, did not attend college. I enjoyed going down the Jersey shore, driving my “65” GTO, going to dances and hanging on the corner. Never did the sports thing either. I held different jobs after high school. Tried being a plumber for a year, then got into a print shop. I continued a couple different jobs in the printing field advancing myself with each one. I was a pretty good worker, and liked printing. In the late “60’s”, a lot of guys from my neighborhood were getting drafted, few enlisted. I just didn’t care one way or the other about the draft or the war. When I got drafted, I just said OK and went. I didn’t really know too much about Vietnam, paid no attention to the protests. Drugs were all around in my neighborhood, but I never indulged or got into them, never drank that much either. It just didn’t phase me. My family was more upset than I was. My mother had been dating my father during World War II. He was at Pearl Harbor when it was bombed. So they both knew about war. The author James Jones was in my father’s company and wrote “From Here to Eternity”. That book’s characters were based on the real men in that company. but a lot of fiction was added. My father was “Friday” in the book (Salvatore Clark, the wop from Scranton) they really called him Friday in the service. The guys all used to have reunions together, Stewart (Prewitt) and the Warden etc. all except Maggio (that was his real name they used.). My father is an Honorary member of The James Jones Society. He was also a local musician who recorded country and Western music. Traveled the same circuit as Bill Haley and the Comets and were friends. After the service, I worked as a printer a short time, then went into roofing. I started my own roofing business in 1979 and had a very good business. My only problem was, I liked going to the nite clubs and drinking every night. I started that as soon as I got home from Vietnam and didn’t stop until 1994, then it was I would just go out once or twice a week. I sold my roofing business and worked as a sales consultant for a local roofing firm doing commercial roofing, and a part time employee at The Home Depot in the evenings. I started Real Estate in 1999 in Bucks County PA and moved to Mt Laurel New Jersey in 2000 as a successful Real estate Agent. In 2015, I retired and moved to (Surfside Beach) Myrtle Beach, SC. I got involved with the Veterans Organizations after getting together with members of my squad (6 members) in 1985. I have enjoyed helping other veterans in many ways. Since 1985, I have been a part of the Ripcord Association and try to help in any way I can. I had no idea what Vietnam was going to be like. I went up North and got into Alpha company. The guys I was with from the beginning were the guys I ended up with (with the exception of a few). I kind of call myself dumb over there, cause I just was there. I was not a leader. Guys like Koger, Webster, Evans, Janezic, in fact all the guys in my squad were pretty together. I trusted them, I felt safe as I could feel, but I was still scared. Sometimes I think I was too scared to cry. I didn’t know too many other than my squad and platoon. Again, because I was just there. I didn’t want to be a hero, I didn’t want to fight, I just wanted to do my time and come home. I was young, we all were, but some of these guys, even though they were my age, they seemed so much older. I got close with my squad members and some of the others in my platoon, because most of the time we just sat out in the boonies for days. We would talk about our families, girl friends, cars, just about everything. We were together 24 hours a day, side by side, slept next to each other to keep warm, for days, weeks even months at a time. We all were together, but we were all scared even if we never admitted to each other. You have no choice but to bond. These were my friends then and today they are still my friends, no matter what. I hung around with a lot of kids when I was growing up, and had a lot of friends. The past 25 years of going out every night, I met a lot of people and got a lot of friends. 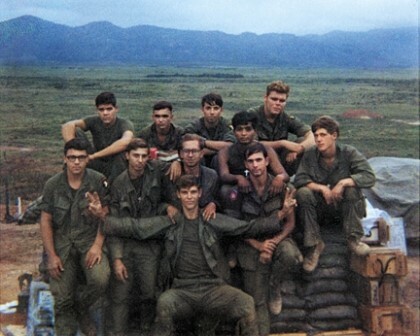 being involved with the veterans organizations, I met a lot of other Vietnam Veterans whom I hold a lot of respect for, and made a lot of friends. These friends I have met over my lifetime, I spent a lot of time with some of them. A few hours a day or once a week, or even less, and they are good friends. But the friendship or bonding could never be the same as that I made with the guys I spent 24 hours a day with for months through the fun, fear and trauma we shared together. I’ll never be as close or respect anyone as I do them. 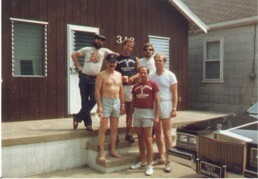 It was in 1985 when my squad in Alpha Co. has got together. Ron Janezic, Joe Evans, Jim Aanonsen, Carl Dykstra, George Westerfelt, their families and myself got together down Seaside, NJ for a few days. That was a great time. I now look forward to getting together every year at the reunions. We are older now and more mature than the younger years. But one thing we will always have to share with each other and that is the True Bonding that others will never experience.